This does not mean Switzerland is un-European. It does not mean Switzerland isn’t happy with people who don’t think Swiss, look Swiss, or hold a different passport. But Bern and Co do have other priorities. OK, even if you think Bern might eventually want to EU-ise us, reality is, most of us (certainly here in German-speaking Switzerland) aren’t too happy to be dragged into the loose union run by the institutes at Berlaymont. 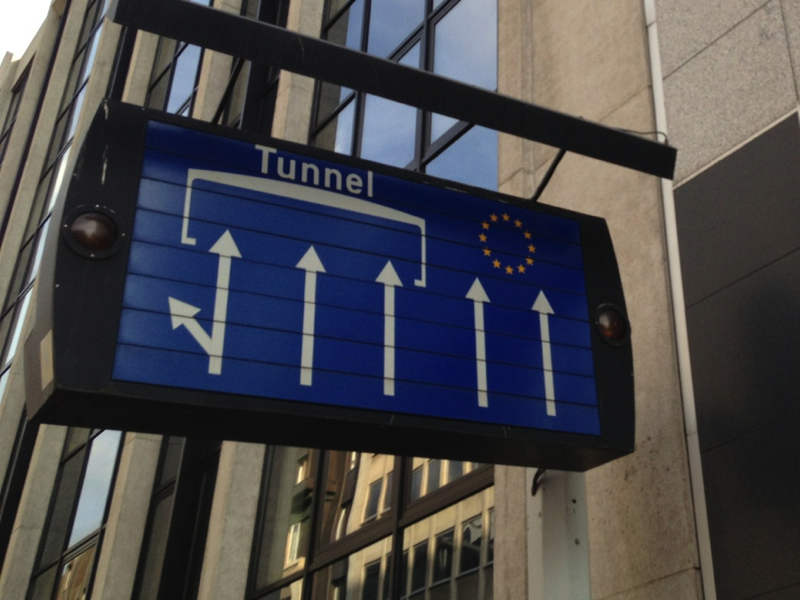 In 2012 I went to Brussels. Not only was my wife less than impressed about people who were drunk late in the evening, but we felt that Europe outside of Swiss borders simply were more than a mere bit away from what we would have in Switzerland. It is not like all Swiss are pre-programmed to be Brussels-sceptic; votes for getting Switzerland into the EU are approved by probably less than a third of the population. These people aren’t “clueless”; they have their priorities, but at the end of the day, when you travel and live in the EU and in Switzerland, you’ll see what differences there are. The UK has a big problem with the EU as well. The latter is the kind of monster that, on a whim, can throw a ten-digit figure bill your way — something the UK’s prime minister might have stated is “punishment” for growing when other EU countries (such as France) has tanked. Eurosceptic politicians are gaining ground, and there are also “threats” of getting the UK more Swiss — as in get people to the ballot box — to let the whole nation decide if it should stay part of the EU. I personally have issues with the huge Berlaymont institution as well. Speaking from very subjective point of views, it rushed through the approval process for some of the newer members. This leaves it at times in an odd situation — where parts of communist China appear more advanced than what is seen in some EU countries. The world is only slowly recognising China as a “market economy” — it took close to two, even three, decades, for that to happen. To turn the former eastern satellite states of the Soviet Union in Europe to UK-ish worlds would take many, many decades; I would say I would even give it half a century (or more!) to make it reality. Switzerland is quite a lucky country to this extent. Its people are almost amongst one of the more industrious in Europe — many a street of Zürich brings its London variant, if not to its knees, at least in a dead heat, in cleanliness, order, and everything like that. Most of us in Switzerland agree that we shouldn’t be forced into the EU. At the same time, not to trade with the rest of Europe would mean Switzerland locking itself shut a little like north Korea. Switzerland’s current position — bilateral ties, or a special relationship — is just what we need. Rejecting the EEA was a little scary, but bilateral ties as we have it right now work great. This is why I express alarm at the Swiss having a go picking roses in the stand-off with Brussels over Freedom of Movement. The latter, especially with an uncooperative boss in Brussels, could easily rip both that agreement and the rest of the first series of Swiss-EU bilateral agreements to shreds, choking the country, certainly when it came to the money. China might be a good “alternative”, but one must understand that that nation still has serious problems with food safety, workers’ legitimate rights, and meddling in the economy. (Those are “insensitive” issues; we will leave the others a la Tian’anmen and Tibet “later”.) Before ties between Beijing and Bern deepen, the former has to get its house in order.